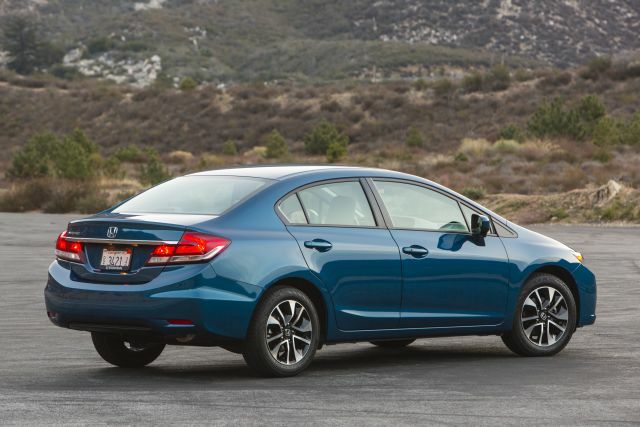 This enduring compact was refreshed for the 2014 model year, so it carries over largely unchanged into model-year ’15. Rumors have circulated that an all-new model is on deck, although Honda is staying tight-lipped on the matter. Many experts expect a complete redesign that would make the new model a truly global vehicle, as opposed to the current situation where there are U.S. and European versions. With the hatchback being the standard configuration in Europe, it might mean that the new car will come in both hatch and sedan versions for all markets. It’s possible, however, that the sedan format will be abandoned altogether and that all model-year 2016 Civics will be hatches. But we think this is unlikely given that few brands in North America do well in a purely hatchback format. This vehicle’s track record is mostly one of excellence. Even the quickly ditched ’12 model wasn’t as badly received by the public as it was by the auto press. Bottom line? The smart money says that the model-year ’16 offering will be worth the wait. 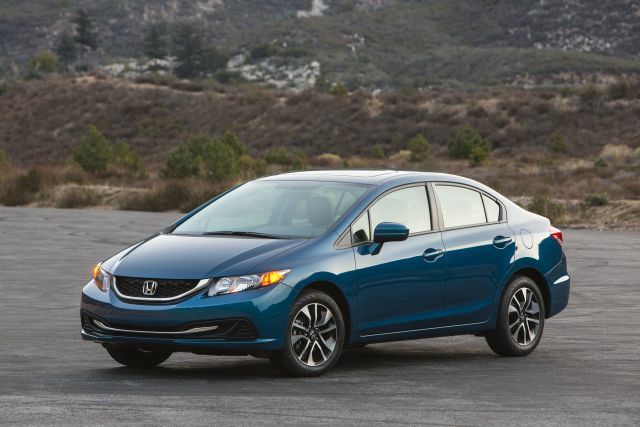 If you’re in the market right now for a quality compact sedan or coupe, you won’t go wrong here. It’s almost impossible to imagine that an all-new model will be so good that it eclipses the value of this version. If you want to wait until more is revealed about model-year ’16, that’s fine—but don’t forget that this is already a quality car. An all-new model would likely come with a complete redesign. When the current generation was launched, it was a radical shift away from that past, especially regarding the European hatchback. While the model-year ’16 Civic may not be a complete departure from its predecessor, it’s bound to look significantly different, provided it’s an all-new version. New engines and at least one new transmission are certainties for the next generation, but the whole platform could be new from the ground up. It’s rumored that the next Civic will be virtually the same car throughout the world, so Honda might logically develop a platform that would form the basis for other future models in this range. If the automaker comes to market with new engines, transmissions, and aerodynamics, fuel economy will almost certainly get better. There are also strong indications that a new hybrid version will be part of the offering, and a fuel cell version may eventually be added to the mix. Honda has done a lot of work on driverless vehicles over the past few years, and although these are still in development, some of their systems could find their way into a car like the model-year ’16 Civic. While infotainment and connectivity are always candidates to be upgraded, the biggest advancements could be on the safety front. Most mass-market automakers have kept prices virtually the same for a number of years, with rare increases of only a couple hundred dollars at the most. An all-new model will cost the manufacturer a lot of money to develop, but the Civic nameplate sells in such massive numbers worldwide that a significant price increase wouldn’t make much sense. If the ’16 Civic is completely new—especially if it is designed on a worldwide platform—we shouldn’t expect it to be rushed to market. This is, after all, probably the automaker’s most important nameplate globally. An all-new version would likely show up around the end of calendar-year 2015, with a European launch taking place slightly earlier. We’d like to see a little more in the rear, but such a move would depend on the overall styling. Model-year ’15’s two-level dash is certainly an acquired taste, and something more conventional, user-friendly and aesthetically pleasing would be welcomed in the future. An entirely new hybrid system would be another plus, as the model-year 2015 offering is far from being among the best in its class, especially at lower speeds. An all-new Civic is a very big deal for Honda and its dealers around the world. And after the near-disaster of the 2012 redesign, you can be sure the Japanese auto giant will have everything buttoned down before the launch. It’s extremely likely that the new Civic will be built in North America, as the automaker has often stated its intention to have all models that are sold in the United States built there as well. That means a new model would be good news both for American workers and consumers.